Devin are swimming pool consulting engineers for water treatment, spa pools, water features, heat experiences, movable floors, movable booms and pool tanks. Devin provide independent expert professional advice on both technical and commercial issues, drawing on a portfolio of over 200 projects, and our participation on PWTAG and BS committees. Devin’s portfolio includes the London Aquatic Centre for the 2012 Olympics, Bath Spa, Sheraton Hotel Athlone, Dubai Aquatic Centre, a major private development in New Delhi, Aberdeen Aquatic Centre, Bvlgari Knightsbridge Hotel and many other 50m, 25m, spa and leisure pools. The company is a member of the Association for Consultancy and Engineering (ACE) and the managing director is a technical advisor to the Pool Water Treatment Advisory Group (PWTAG). 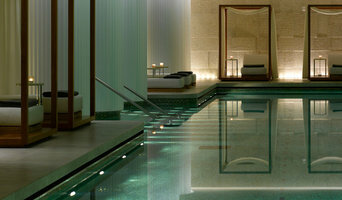 North Spas is a family business founded in 2006. We provide our Customers with the full package from base to bubbles! Our sister Company North Sparks, who are NIC registered can complete the Electrical installation of the Hot Tub, & North Spas can carry out any decking or groundwork which you may require. We pride ourselves on our customer service and after-care which is why we provide you with full chemical training, free water testing and have servicing and maintenance packages which can be tailored to suit your needs. We have two showrooms in the North East, one in Dobbies Garden World, Birtley & the other at Dobbies Garden World, Ponteland. We offer a huge variety of brand new Hot Tubs for sale and in our Birtley Showroom we also have a small selection of Pre-Owned Hot Tubs. Take advantage of our 0% interest free finance over 1, 2 or 3 years. Of course, we don’t all have the room, money or climate for our own swimming pool, but hot tub prices are usually less than swimming pools' and are a more compact, weather-enduring option, too. With Newcastle upon Tyne, Tyne & Wear hot tub suppliers available on Houzz, you can compare prices, photos of hot tub installations, reviews, recommendations and ratings from previous clients. 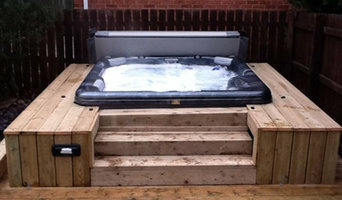 How will Newcastle upon Tyne, Tyne & Wear hot tub and swimming pool builders install my pool/hot tub? Do you want your Newcastle upon Tyne, Tyne & Wear swimming pool builders or hot tub suppliers to help you with maintenance and repairs? Find swimming pool builders or specialists on Houzz. Narrow your search in the Professionals section of the website to Newcastle upon Tyne, Tyne & Wear swimming pool builder or hot tub supplier. You can also look through Newcastle upon Tyne, Tyne & Wear photos by style to find a swimming pool installation or hot tub installation you like, then contact the specialist or builder who designed it.